Redearslider.com :: View topic - Eggs again! Other Turtle Discussion :: Eggs again! Posted: Fri Apr 14, 2017 7:39 pm Eggs again! Hey everyone it's bin a bit since I posted on here. My res is getting ready to lay eggs again. I can tell because she is scratching the sides of the tank trying to get out. 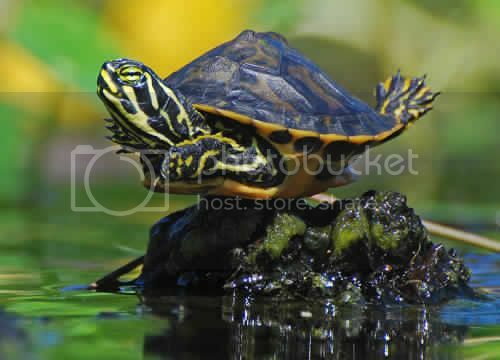 Keep in mind turtles will leave the pond or lake they live in to lay eggs. I hope this helps some of you that are wondering if your turtle is with eggs. I took her out to the garden she dug for maybe 20 min. Then she gave up. Same as the first time. Last time she laid eggs in the tank and probably will again as I just can't spend hours waiting in the garden for her to lay her eggs. Makes me wonder if she wouldn't be better off in the wild. At least there she could get out of the water when she wants to. Feel free to discuss this thought with me. Posted: Fri Apr 14, 2017 8:49 pm Re: Eggs again! Yes been awhile ! Hope all good at home. Now how about your girl , has she been out on any hot dates , any boyfriend lately? If so may have to get another stock tank for the little ones. At my old house I took a lot of time several type of soil mixtures and made very large nesting area next to there in ground pond. BUT my Minnie would never use it! She always found in the garden area between the cement bench and the fountain grass. She was very picky and knew what she wanted. Last edited by litefoot on Sat Apr 15, 2017 7:10 am, edited 1 time in total. Posted: Fri Apr 14, 2017 10:20 pm Re: Eggs again! Posted: Sat Apr 15, 2017 4:40 pm Re: Eggs again! She has 2 boyfriends. No favorite spot she laid them in tank last time and probably will again this time. I just don't have the time or patients to take her to the garden daily. To be honest I'm thinking about getting rid of all of them. I just don't have the the time or energy to do it any longer. Ir happens. They are cute when their small you think your really into turtles You buy all kinds of fancy expensive stuff for them and then years later you just don't really want to mess with it anymore. I think I'm to that point. Any suggestions? I really am just done with the tirtles. I wanted to put them in a friend's pond but my gf said NO! I live in kansas so I don't have many options. Posted: Sat Apr 15, 2017 8:34 pm Re: Eggs again! Think will all look at it a different way as time goes on. At the high point I had little under 3000gal in ground pond and 6 / 150 gallon stock tanks. Out of hand ! Then Hurricane Katrina , took all but one my Mickey and I wanted out after that. I could not do without , bottom-line its only one as of today. My health and age and time can only handle one ! Sorry have no magic suggestion or answer. It's a personal call. Posted: Sat Apr 15, 2017 10:30 pm Re: Eggs again! I thought I would want them forever. It just turns out that I'm getting older work out if town and just don't have the time or energy to deal with it anymore. Would they be ok if I release them in a friend's farm pond? There are some res in there and no fishing pressure. I just don't want to release the dbt's because they are not indigenous to this area. Maybe my local zoo might take them. Posted: Mon Apr 17, 2017 12:32 am Re: Eggs again! The DBT should be much easier to rehome. As for the others... though call. I don't blame you for wanting to get rid of them. They are a lot of work sometimes and I think most of us have thought about rehoming them. Any more details about that pong? Why does the GF say no? Posted: Mon Apr 17, 2017 8:13 am Re: Eggs again! Steve, She thinks they won't make it in the wild but it's got fish snails and vegetation. Took my res out to the garden and she dug a pretty deep narrow hole but wouldn't you know it we got a storm. I covered the hole with a bucket in case she wants to use it again today. Steve do you think if she bred with my dbt and that's "highly likely" do you think they would hatch? A crossbreed? Last time she laid in water I just hate the thought of her eggs going to waste. I know I sound nuts. I want to rehome my turtles and yet I'm thinking about trying to hatch eggs. Posted: Mon Apr 17, 2017 9:28 am Re: Eggs again! As for not surviving in that pond... that's the risk. Posted: Mon Apr 17, 2017 9:45 am Re: Eggs again! Dr. Thomas at the Nature Center talked about this at times with me. Emydidae / Malaclemys ? Different genus high possibility of birth defects and or babies wouldn't likely be viable. He always brought in "natural selection" and look at all the Hybrids out there. Any turtle can mate , crossbreeding , to be fertile successfully? Some turtles can hold sperm to next season , having two fathers...in a clutch? Rehome // hatching glad it's not my call. Best on your resolution when you reach it. Posted: Mon Apr 17, 2017 12:15 pm Re: Eggs again! Thank you for the information. I will not try to incubate them. Now it's off to find homes. Taking her back out to the garden to see if she will lay her eggs. Thanks.